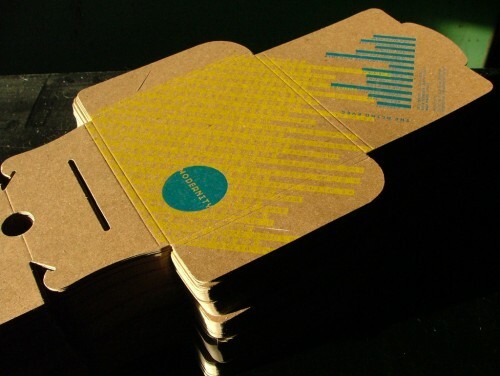 An awesome example of a letterpress CD package by Sensura Studio in Saint Louis, Missouri for the band The Blind Eyes. Printed on Stumptown‘s Arigato Pak! 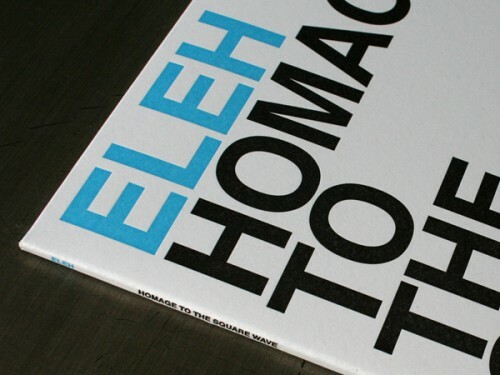 Letterpressed LP Jacket & Sleeve by Studio On Fire for Eleh on Taiga Records. They are two color letterpress on a 100% PCW 160lb stock. We are in love.